Fuel Tool Weekly Price Updates - Always get the cheapest domestic heating oil. Sign Up Today for FREE. Sit back, relax and let Fuel Tool do all of the work for you. Tired of calling around to your local home heating oil suppliers every day for prices, trying to ensure you get the lowest possible price for your kerosene? Now you can relax. Sign up for automatic price updates and we'll email you with our cheapest local supplier prices every week - for FREE! By doing this, you can watch the oil price trends and strike when you feel the price is at its lowest, saving you loads of money. It's free to subscribe and you can unsubscribe anytime. Because Fuel Tool has some of the UK's lowest prices, search no further! Sign up now and always secure low prices on domestic home heating oil for your tank. Select which day(s) of the week you would like price updates? This service is for UK heating oil customers only and not to be used by heating oil suppliers. Daily price update emails will arrive each chosen morning at 10:00 am. If you wish to unsubscribe from these emails, simply scroll to the bottom of any of your daily price update emails to the bottom where there will be a clear link to unsubscribe. This is a one-click operation and will remove your address from the notifications. Should you subscribe to multiple postcodes, this will remove your subscription to all of your associated postcodes as well. Price Updates are FREE and you can unsubscribe whenever you want. 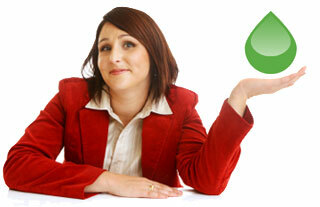 We don't care as long as you're getting the cheapest heating oil you can find on the Internet. Information, after all, is power.